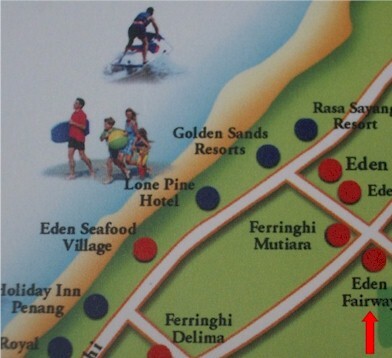 idyllic location for your holiday, we are nearby Golden Sands & Rasa Sayang Hotel. The apartment is conveniently located near basic amenities such as taxi stand, mini markets and food stalls. The apartment is located about 45 minutes from the Penang International airport. Access to the apartment is possible via taxis or public buses. There is also easy bus access to the apartment from Georgetown. Copyright © 2005 BJaya.com. All Rights Reserved.